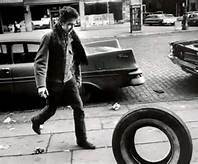 This entry was posted in poetry and song, Song and tagged Bob Dylan, Like a rollin' stone, lyrics, old radio, poem, poetry, poverty, rock & roll, song on the radio, song writing. I’m your fan from now on! God bless you, I hope to serve anyone that allows me the privilege to be part of their life. I was listening to Bob Dylan sing “Like a rolling stone” while driving today. I always sing, but I could barely get my voice up. It made me want to cry because I know how it feels. I came home and wrote down these words. Thank you Deborah. None of us are ever on our own, thanks to people like you. Thank you for your kindness. It keeps me alive! If you only knew the accuracy of that… it’s definitely my alley ….perfect suggestion! 1Love!